Institutional Research (IR) provides timely and accurate analysis to support data-informed policy and decision making at MSU. IR integrates contextually relevant current and historical data from across campus to inform internal planning and assessment. As an official source of record, IR fulfills mandated federal and state reporting and is the steward of structures that support organizational functions at MSU. IR is a campus resource that supports data quality, integrity, and appropriate use. Below is a series of easy to access and self-service reports including Data Digest, Planning Profile Summary, Standard and Entering Class reports, graduation rate, research productivity and rankings data. 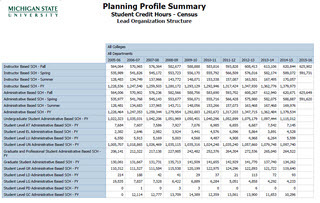 The CDS is the result of a collaborative effort among data providers in the higher education community and publishers as represented by the College Board, Peterson’s, and U.S. News & World Report published annually. Data items and definitions used by the U.S. Department of Education in its higher education surveys often serve as a guide. 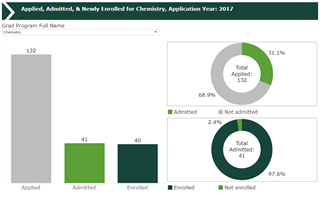 A comprehensive quantitative snapshot of MSU with student, faculty, staff, instruction, research, finance, college profiles, trend, and benchmark sections. Offered in both PDF and Tableau dashboard formats. 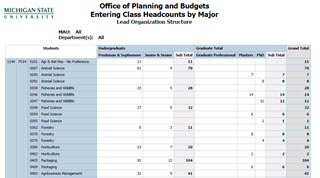 Reports on headcounts of entering class and student profiles by semester. 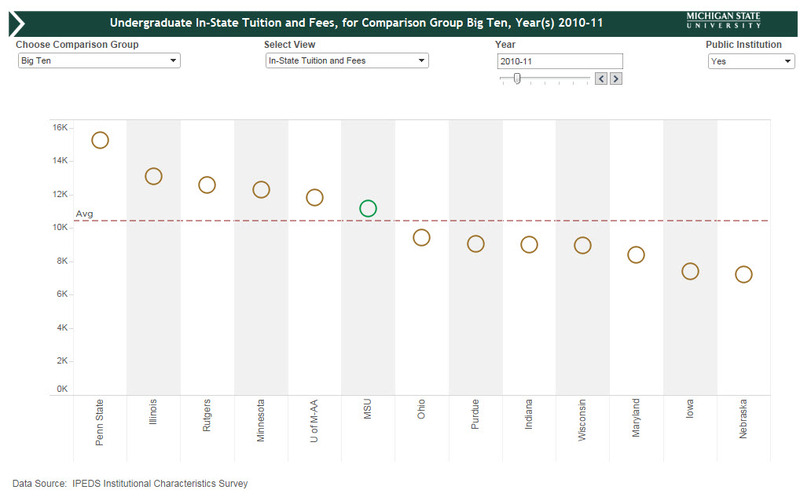 Compares the entering class with historical cohorts, highlighting notable trends and changes. 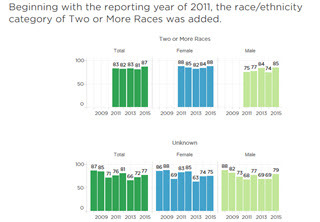 Bachelor degree, six-year historical graduation rates, graduation rates by gender and race/ethnicity, rates for athletes by gender and sport, and rates by financial aid status. 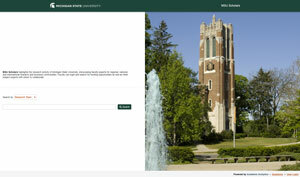 MSU Scholars is Michigan State University’s instance of Academic Analytics’ public-facing version of their Research Discovery Suite. MSU Scholars highlights the visibility and research activity of MSU faculty and academic staff, identifying experts for local, state, national, and international research and business communities. 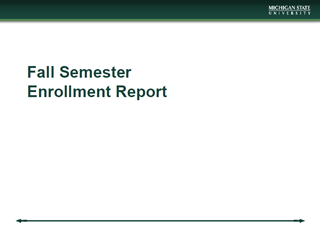 MSU faculty and staff can login to the corresponding internal site, Faculty Insight, and search for grant funding opportunities as well as other subject experts with whom to collaborate. Faculty Insight contains a link to FAQs and a User Guide. 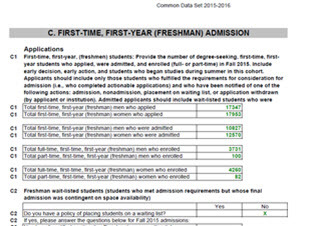 By semester, course capacity, degrees conferred, and enrollment data. 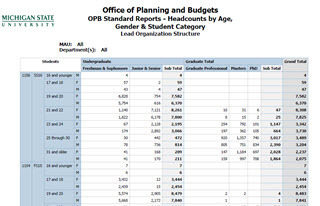 User generated PDF report from Cognos. 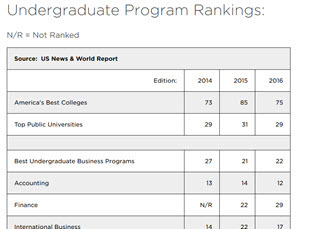 MSU's rankings in undergraduate and graduate programs, and global rankings.